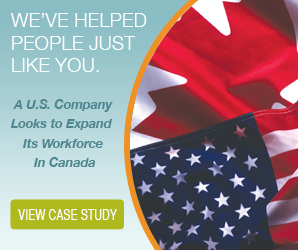 Expanding into Canada and utilizing Canadian workers can be a great way for an Australian company to increase brand awareness and profitability in a new market. Though it may seem pretty cut and dry, calculating Canadian payroll isn’t as simple as it seems. An Australian company must follow the country’s payroll laws in order to be above board. You have to learn a whole new batch of rules and regulations if you want to pay your workers legally. The first step to paying your workers is to learn to effectively calculate Canadian payroll. Here are some of the things you should know before you get started. As the owner of an Australian company, this first step will surely differ from what you’re used to. The deductions you must make in Canada are unique to this country. There are three mandatory deductions that you must make based on your employees’ gross income. First, you have taxes; this includes federal and provincial taxes. The amount you deduct from pay cheques for taxes will vary based on what province or territory you’re operating in and how you’ve classified each employee. It will also depend on how much income your employees are making. The other two mandatory deductions are CPP and EI. Canadian Pension Plan and Employment Insurance withholdings will depend on many factors—such as employee age, classification, employment type, and location, as well as the maximums and exceptions set forth by the government. It is your responsibility to calculate Canadian payroll effectively, to understand the regulations that affect your business and employees, and to keep up with any changes. You can use a free online payroll calculator or access the Canada Revenue Agency’s website for help with this step. Your employees aren’t the only ones paying contributions. Even though you run an Australian company, you will have to match a percentage of your workers’ contributions. Again, it’s your responsibility to get the total contributions correct—if you pay too little, you could face fines, but if you pay too much, you won’t get a refund. When you accurately calculate Canadian payroll you’ve got your first step down. Next, you have to remit the withholdings that you’ve deducted to the government. This takes diligence. You can’t be late on your payments or you’ll have to pay interest fees. You must know your deadlines—which will vary depending on your remittance amounts. Lastly, you need to report your payroll information to the Canadian government on an annual basis. You’ll have to let the government know how much income your employees earned and how much you’ve deducted for taxes, CPP, and EI. You must complete this step so your Canadian workers can file their own taxes. At first glance, it might seem easy to calculate Canadian payroll, but there is a lot of paperwork to fill out, a lot of regulations to understand, many deadlines to remember, and tons of calculations that need to be exactly right in order to stay compliant with Canadian payroll laws. Luckily, you don’t have to do it alone. 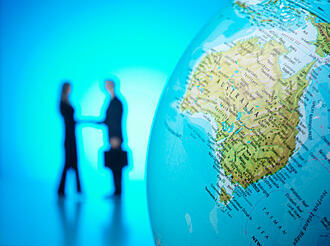 An Australian company has the option to form a partnership with a payroll service provider or employer of record. The firm you choose to work with can expertly handle all of these administrative tasks for you, so you can get back dealing with the more important work that needs your attention. 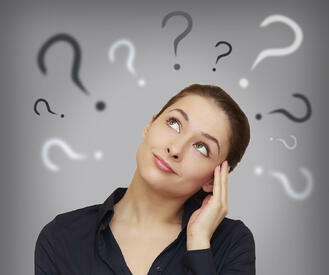 Can You Calculate Canadian Payroll? When you hire Canadian workers, you need to ensure that you’re complying with federal and provincial payroll legislature when paying them. As their employer, it’s your responsibility to ensure that you pay them properly and calculate the appropriate deductions at each pay period. Though there are a lot of rules and regulations to know and understand, you can calculate Canadian payroll on your own. Here’s what you need to know. Before you start to calculate Canadian payroll, you’ll need to set up the appropriate business payroll accounts with the Canada Revenue Agency. This is the agency you will be dealing with throughout your entire payroll process, so it’s important to be acquainted with its strict laws, regulations, and deadlines. To know how much to deduct from employee paycheques, you’ll need some information from each of your employees. Ideally, you’ll get this data during the hiring process. You’ll need to know their social insurance numbers and get them to fill out federal and provincial T1 forms. This is the information you’ll use to base your deduction calculations on. Deductions will vary depending on your employees’ ages, province of work, classifications, taxable benefits, and other factors. You’ll need to take into account employment insurance premiums, Canadian pension plan contributions, and both provincial and federal income taxes at every pay period without fail. All of these deductions have their own set of regulations and rules to follow to ensure you’re calculating them correctly. Any small error can cause you major headaches. You can use a deductions online calculator to calculate Canadian payroll for all provinces except Quebec based on the employee and business information you provide. If you’re operating in Quebec, you’ll need to be familiar with a completely different set of payroll laws. Though it’s free and convenient, there are some risks to using an online calculator. You can print the calculations that are generated, but these aren’t supposed to be used as your statement of earnings. You’ll still need to continue creating your own statements. Additionally, the calculator’s reliability depends on the accuracy of the data you input, so you still assume all legal risk when using an online calculator. You’ll have to remit your employee deductions to the government on specific deadlines. And every year, you’ll need to report all of your employee earnings and deductions to the Canada Revenue Agency on T4 or T4A slips. Not doing so can lead to hefty fines and penalties, ranging from thousands of dollars to jail time, so diligence is important. If just reading this article makes you feel overwhelmed, consider outsourcing your payroll calculations to a Canadian payroll provider. A payroll provider can take over the time-consuming task and calculate Canadian payroll for you, all while ensuring that you’re always being compliant to the appropriate laws. Payroll providers have the expertise and experience necessary to calculate Canadian payroll, pay your employees, send out your government remittances, and take care of your taxes. If you’re employing Canadian workers, you need to follow the country’s payroll laws. This includes opening the right accounts, collecting the right employee information, deducting appropriate amounts of income tax, CPP, and EI contributions, and recording and remitting deductions. You can use an online payroll calculator if you decide to do it yourself or you can outsource the task to a payroll provider. The choice is up to you.